Ревматическая патология околосуставных мягких тканей – РПОМТ (тендиниты, теносиновиты, бурситы и др.) является одной из наиболее частых причин потери трудоспособности и обращения за медицинской помощью. Лечение пациентов с РПОМТ составляет важную часть работы практикующих ревматологов. Но, к сожалению, в последние годы вопросы диагностики и терапии этой патологии относительно редко обсуждаются на страницах российских медицинских изданий, а также научных съездах и конференциях ревматологов. Настоящий обзор призван освежить интерес врачей к данной проблеме. В первой части обзора кратко рассмотрены общие вопросы эпидемиологии, патогенеза и диагностики РПОМТ верхней конечности, такие как тендинит мышц вращающей манжеты плеча, латеральный и медиальный эпикондилит, стенозирующий теносиновит сгибателей пальцев, синдром де Кервена и синдром запястного канала. 1. Насонов ЕЛ. Достижения ревматологии в XXI в. Научно-практическая ревматология. 2014;52(2):133–40. [Nasonov EL. Achievements in rheumatology in the XXI century. Nauchno-prakticheskaya revmatologiya= Rheumatology Science and Practice. 2014;52(2):133–40. (In Russ.)]. DOI:http://dx.doi.org/10.14412/1995-4484-2014- 133-140. 4. Millar NL, Murrell GA, McInnes IB. Alarmins in tendinopathy: unravelling new mechanisms in a common disease. Rheumatology (Oxford). 2013 May;52(5):769–79. doi: 10.1093/rheumatology/kes409. Epub 2013 Jan 28. 5. Scott A, Ashe MC. Common tendinopathies in the upper and lower extremities. Curr Sports Med Rep. 2006 Sep;5(5):233–41. 6. van Tulder M., Malmivaara A., Koes B. Repetitive strain injury. Lancet. 2007, 369(9575): 1815–22. 7. Nicoletti S, Carino M, Di Leone G, et al. Prevalence of upper limb work-related usculoskeletal disorders (UL-WMSDs) in workers of the upholstered furniture industry. Med Lav. 2008; 99(4): 271–80. 8. Чичасова НВ, Мендель ОИ, Насонов ЕЛ. Остеоартроз как общетерапевтическая проблема. Русский медицинский журнал. 2010;(11):729–35. [Chichasova NV, Mendel' OI, Nasonov EL. Osteoarthritis as a common therapeutic problem. Russkii meditsinskii zhurnal. 2010;(11):729–35. (In Russ.)]. 9. Abrams G, Renstrom P, Safran M. Epidemiology of musculoskeletal injury in the tennis player. Br J Sports Med. 2012;46(7): 492–8. 10. Whaley A, Baker C. Lateral epicondylitis. Clin Sports Med. 2004;23(4):677–91. 12. Walz D, Newman J, Konin G, Ross G. Epicondylitis: pathogenesis, imaging, and treatment. Radiographics. 2010; 30(1):167–84. 13. Ciccotti M, Ramani M. Medial epicondylitis. Tech Hand Up Extrem Surg. 2003; 7(4):190–6. 14. Wolf J, Sturdivant R, Owens B. Incidence of de Quervain's tenosynovitis in a young, active population. J Hand Surg Am. 2009; 34(1):112–5. 15. Seyhan H, Kopp J, Horch R. De Quervain's stenosing tendovaginitis-one of the most common conditions affecting the hand. MMW Fortschr Med. 2006;148(39):33–5. 16. Waersted M, Hanvold T, Veiersted K. Computer work and musculoskeletal disorders of the neck and upper extremity: a systematic review. BMC Musculoskelet Disord. 2010;29;11:79. 17. Беленький АГ. Заболевания периартикулярных тканей области кисти. Справочник поликлинического врача. 2007;5(5):32–7. [Belen'kii AG. Diseases of the periarticular tissues of the wrist. Spravochnik poliklinicheskogo vracha. 2007;5(5):32–7. (In Russ.)]. 18. Pascarelli E, Hsu Y. Understanding work-related upper extremity disorders: clinical findings in 485 computer users, musicians, and others. J Occup Rehabil. 2001;11(1):1–21. 19. Ali M, Asim M, Danish SH, et al. Frequency of De Quervain's tenosynovitis and its association with SMS texting. Muscles Ligaments Tendons J. 2014 May 8;4(1):74–8. eCollection 2014. 20. Magnusson SP, Langberg H, Kjaer M. The pathogenesis of tendinopathy: balancing the response to loading. Nat Rev Rheumatol. 2010;6(5):262–8 doi: 10.1038/nrrheum. 2010.43. Epub 2010 Mar 23. 21. Kannus P. Structure of the tendon connective tissue. Scand J Med Scie Sports. 2000;10(6):312–20. 22. Weinreb JH, Sheth C, Apostolakos J, et al. Tendon structure, disease, and imaging. Muscles Ligaments Tendons J. 2014 May 8;4(1):66–73. eCollection 2014. 23. Juneja SC, Veillette C. Defects in tendon, ligament, and enthesis in response to genetic alterations in key proteoglycans and glycoproteins: a review. Arthritis. 2013;2013:154812. doi: 10.1155/2013/154812. Epub 2013 Nov 10. 24. Mienaltowsky MJ, Birk DE. Structure, physiology and biochemistry of collagen. Adv Exp Med Biol. 2014;802:5–29. 25. Yang G, Rothranff B, Tuan RS. Tendon and ligaments regeneration and repair: clinical relevance and development paradigm. Birth Defect C. Embryo today. 2013, sept; 99(3):203–22. 26. Miller BF, Olesen JL, Hansen M, et al. oordinated collagen and muscle protein synthesis in human patella tendon and quadriceps muscle after exercise. J Physiol. 2005;567(pt 3):1021–1033. Epub 2005 Jul 7. 29. May S. An outcome audit for musculoskeletal patients in primary care. Physiother Theory Pract. 2003;19(4):189–98. 30. Scott A, Docking S, Vicenzino B, et al. Sports and exercise-related tendinopathies: a review of selected topical issues by participants of the second International Scientific Tendinopathy Symposium (ISTS) Vancouver 2012. Br J Sports Med. 2013 Jun;47(9):536–44. doi: 10.1136/bjsports-2013-092329. Epub 2013 Apr 12. 31. Jacobs CL, Hincapie CA, Cassidy JD. Musculoskeletal injuries and pain in dancers: a systematic review update. J Dance Med Sci. 2012;16(2):74–84. 32. Meislin RJ, Sperling JW, Stitik TP. Persistent shoulder pain: epidemiology, pathophysiology, and diagnosis. Am J Orthop (Belle Mead NJ). Dec; 2005;34 (12 Suppl):5–9. 33. Burbank K, Stevenson J, Czarneck G, Dorfman J. Chronic Shoulder Pain: Part I. Evaluation and Diagnosis. Am Fam Physician. 2008;77(4):453–60. 34. Thomopoulos S, Parks WC, Rifkin DB, Derwin KA. Mechanisms of tendon injury and repair. J Orthop Res. 2015 Jan 29. doi: 10.1002/jor.22806. Epub ahead of print. 35. Millar NL, Hueber AJ, Reilly JH, et al. Inflammation is present in early human tendinopathy. Am J Sports Med. 2010;38(10):2085–2091. doi: 10.1177/0363546510372613. Epub 2010 Jul 1. 36. Gotoh M, Hamada K, Yamakawa H, et al. Interleukin-1-induced glenohumeral synovitis and shoulder pain in rotator cuff diseases. J Orthop Res. 2002 Nov;20(6):1365–71. 37. Voloshin I, Gelinas J, Maloney MD, O'Keefe RJ, Bigliani LU, Blaine TA. Proinflammatory cytokines and metalloproteases are expressed in the subacromial bursa in patients with rotator cuff disease. Arthroscopy. 2005 Sep;21(9):1076.e1–1076.e9. 38. Longo UG, Berton A, Khan WS, et al. Histopathology of rotator cuff tears. Sports Med Arthrosc. 2011 Sep;19(3):227–36. doi: 10.1097/JSA.0b013e318213bccb. 39. Kraushaar BS, Nirschl RP. Tendinosis of the elbow (tennis elbow). Clinical features and findings of histopathological, immunohistochemical and electron microscopy studies. J Bone Joint Surg Am. 1999;81:259–78. 40. Pufe T, Petersen WJ, Mentlein R, Tillmann BN. The role of vasculature and angiogenesis for the pathogenesis of degenerative tendons disease. Scand J Med Sci Sports. 2005;15(4):211–22. 41. Coombes BK, Bisset L, Vicenzino B. Thermal hyperalgesia distinguishes those with severe pain and disability in unilateral lateral epicondylalgia. Clin J Pain. 2012;28:595–601. 42. Berglund KM, Persson BH, Denison E. Prevalence of pain and dysfunction in the cervical and thoracic spine in persons with and without lateral elbow pain. Man Ther. 2008;13:295–9. 43. Олюнин ЮА. Заболевания внесуставных мягких тканей. Патогенез, клиника, лечение. Русский медицинский журнал. 2007;(26):2023–9. [Olyunin YuA. Diseases of extra-articular soft tissues. Pathogenesis, clinic, treatment. Russkii meditsinskii zhurnal. 2007;(26):2023–9. (In Russ.)]. 45. Carron P, Van Praet L, Van den Bosch F. Peripheral manifestations in spondyloarthritis: relevance for diagnosis, classification and follow-up. Curr Opin Rheumatol. 2012;24(4): 370–4. 46. Brakenhoff L, van der Heijde D, Hommes D, et al. The joint-gut axis in inflammatory bowel diseases. J Crohns Colitis. 2010;4(3):257–68. 47. McGivern U, McAleese J. Palmar fasciitis: a paraneoplastic phenomenon indicating recurrence of non small cell lung cancer – case report and review of the literature. Int J Rheum Dis. 2012;15(1):8–9. 48. Trojian T, Chu S. Dupuytren's disease: diagnosis and treatment. Am Fam Physician. 2007;76(1):86–9. 50. Flatow EL, Soslowsky LJ, Ticker JB, et al. Excursion of the rotator cuff under the acromion. Patterns of subacromial contact. Am J Sports Med. 1994;22(6):779–88. 51. Kirchhoff C, Imhoff AB.Posterosuperior and anterosuperior impingement of the shoulder in overhead athletes-evolving concepts. Int Orthop. 2010 Oct;34(7):1049–58. doi: 10.1007/s00264-010-1038-0. Epub 2010 May 19. 52. Ko JY, Wang FS. Rotator cuff lesions with shoulder stiffness: updated pathomechanisms and management. Chang Gung Med J. 2011 Jul–Aug;34(4):331–40. 53. Franceschi F, Papalia R, Paciotti M, et al. Obesity as a risk factor for tendinopathy: a systematic review. Int J Endocrinol. 2014;2014:670262. doi: 10.1155/2014/670262. Epub 2014 Aug 19. 54. Serafini G, Sconfienza LM, Lacelli F, et al. Rotator cuff calcific tendinitis: shortterm and 10-year outcomes after two needle US-guided percutaneous treatment. Non randomized controlled trial. Radiology. 2009;(252):157–64. 55. De Carli A, Pulcinelli F, Delle Rose G, et al. Calcific tendinitis of the shoulder. Joints. 2014;2(3):130–6. 56. Harvie P, Pollard TC, Carr AJ. Calcific tendinitis: natural history and association with endocrine disorders. J Shoulder Elbow Surg. 2007;16:169–73. 57. Беленький АГ. Капсулит («Замороженное плечо»). Русский Медицинский Журнал. 2006;(21):1511–6. [Belen'kii AG. Capsulitis («Frozen shoulder»). Russkii Meditsinskii Zhurnal. 2006;(21):1511–6. (In Russ.)]. 58. Tamai K, Akutsu M, Yano Y. Primary frozen shoulder: brief review of pathology and imaging abnormalities. J Orthop Sci. 2014 Jan;19(1):1–5. doi: 10.1007/s00776-013- 0495-x. Epub 2013 Dec 4. 59. Ewald A. Adhesive capsulitis: a review. Am Fam Physician. 2011 Feb 15;83(4):417–22. 60. Diercks R, Bron C, Dorrestijn O, et al. Guideline for diagnosis and treatment of ubacromial pain syndrome:A multidisciplinary review by the Dutch Orthopaedic Association. Acta Orthop. 2014;85(3): 314–22. 61. Park HB, Yokota A, Gill HS, et al. Diagnostic accuracy of clinical tests for the different degrees of subacromial impingement syndrome. J Bone Joint Surg Am. 2005;87(7):1446–55. 62. Walton J, Mahajan S, Paxinos A, et al. Diagnostic values of tests for acromioclavicular joint pain. J Bone Joint Surg Am. 2004; 86-A(4):807–12. 63. Jain N, Wilcox R, Katz J, Higgins L. Clinical Examination of the Rotator Cuff. PMR. 2013 Jan;5(1):45–56. doi: 10.1016/j.pmrj.2012.08.019. 64. Gill HS, El Rassi G, Bahk MS, et al. Physical examination for partial tears of the biceps tendon. Am J Sports Med. 2007 Aug;35(8):1334–40. Epub 2007 Mar 16. 65. Ottenheijm RP, Jansen MJ, Staal JB, et al. Accuracy of diagnostic ultrasound in patients with suspected subacromial disorders: A systematic review and meta-analysis. [review]. Arch Phys Med Rehabil. 2010;91 (10):1616–25. 66. Rutten MJ, Jager GJ, Kiemeney LA. Ultrasound detection of rotator cuff tears: Observer agreement related to increasing experience. Am J Roentgenol. 2010;195(6): W440–6. 68. Lian O, Dahl J, Ackermann PW, et al. Pronociceptive and antinociceptive neuromediators in patellar tendinopathy. Am J Sports Med. 2006;34(11):1801–8. 69. Ljung BO, Alfredson H, Forsgren S. Neurokinin 1-receptors and sensory neuropeptides in tendon insertions at the medial and lateral epicondyles of the humerus: studies on tennis elbow and medial epicondylalgia. J Orthop Res. 2004;22(2):321–7. 70. Shiri R, Viikari-Juntura E, Varonen H, Heliö vaara M. Prevalence and determinants of lateral and medial epicondylitis: a population study. Am J Epidemiol. 2006 Dec 1;164(11):1065–74. Epub 2006 Sep 12. 71. Luk JK, Tsang RC, Leung HB. Lateral epicondylalgia: midlife crisis of a tendon. Hong Kong Med J. 2014 Apr;20(2):145–51. doi: 10.12809/hkmj134110. Epub 2014 Feb 28. 72. Assmus H, Antoniadis G, Bischoff C. Carpal and cubital tunnel and other, rarer nerve compression syndromes. Dtsch Arztebl Int. 2015 Jan 5;112(1–2):14–25; quiz 26. doi: 10.3238/arztebl.2015.0014. 73. Vuillemin V, Guerini H, Bard H, Morvan G. Stenosing tenosynovitis. J Ultrasound. 2012 Feb;15(1):20–8. doi: 10.1016/j.jus.2012.02.002. Epub 2012 Mar 9. 74. Ryzewicz M, Wolf JM. Trigger digits: principles, management, and complications. J Hand Surg Am. 2006 Jan;31(1):135–46. 75. Trezies AJ, Lyons AR, Fielding K, Davis TR. Is occupation an aetiological factor in the development of trigger finger? J Hand Surg Br. 1998 Aug;23(4):539–40. 76. Makkouk AH, Oetgen ME, Swigart CR, et al. Trigger finger: etiology, evaluation, and treatment. Curr Rev Musculoskelet Med. 2008;1:92–6. 77. Clapham PJ, Chung KC. A historical perspective of the Notta's node in trigger fingers. J Hand Surg Am. 2009;34:1518–22. 78. Lundin AC, Eliasson P, Aspenberg P. Trigger finger and tendinosis. J Hand Surg Eur Vol. 2012 Mar;37(3):233–6. doi: 10.1177/1753193411421853. Epub 2011 Oct 10. 79. Schubert C, Hui-Chou HG, See AP, Deune EG. Corticosteroid injection therapy for trigger finger or thumb: a retrospective review of 577 digits. Hand (NY). 2013 Dec;8(4):439–44. doi: 10.1007/s11552-013-9541-6. 81. Lalonde DH, Kozin S. Tendon disorders f the hand. Plast Reconstr Surg. 2011;128(1):1–14. 82. Ilyas AM. Nonsurgical treatment for de Quervain’s tenosynovitis. J Hand Surg. 2009;34(5):928–9. 83. Viera A. Management of Carpal Tunnel Syndrome. Am Fam Physician. 2003 Jul 15;68(2):265–72. 84. Aroori S, Spence RA. Carpal tunnel syndrome. Ulster Med J. 2008 Jan;77(1):6–17. 85. Kaplan SJ, Glickel SZ, Eaton RG. Predictive factors in the non-surgical treatment of carpal tunnel syndrome. J Hand Surg Br. 1990 Feb;15(1):106–8. 86. De Smet L, Steenwerckx A, Van den Bogaert G, et al. Value of clinical provocative tests in carpal tunnel syndrome. 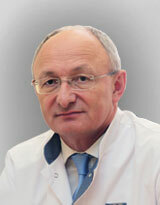 Acta Orthop Belg. 1995;61(3):177–82. 87. Kaufman MA. Differential diagnosis and pitfalls in electrodiagnostic studies and special tests for diagnosing compressive neuropathies. Orthop Clin North Am. 1996 Apr;27(2):245–52. 88. Bruske J, Bednarski M, Grzelec H, Zyluk A. The usefulness of the Phalen test and the Hoffmann-Tinel sign in the diagnosis of carpal tunnel syndrome. Acta Orthop Belg. 2002 Apr;68(2):141–5. 89. de Lima JE, Kim HJ, Albertotti F, Resnick D. Intersection syndrome: MR imaging with anatomic comparison of the distal forearm. Skeletal Radiol. 2004 Nov;33(11):627–31. Epub 2004 Sep 10. 90. Shen ZL, Li ZM. Ultrasound assessment of transverse carpal ligament thickness: a validity and reliability study. Ultrasound Med Biol. 2012 Jun;38(6):982–8. doi: 10.1016/j.ultrasmedbio.2012.02.021. Epub 2012 Apr 12.